Thank you so much for the clinic at USHJA’s Emerging Athletes Program. I had such a great experience and learned so much. I really enjoyed your exercises and the way you taught them! 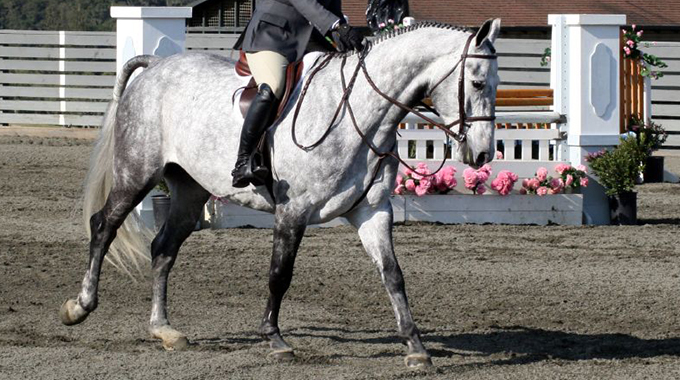 Unfortunately, my horse stopped at two fences in the course on Thursday, and I was a little disappointed in myself. You said that I should have prepared my horse before the first fence, doing up and down transitions at the canter, but my question is, how do you know when you have the right canter before you jump the first fence? I can’t impress on you enough how important the circle you do before you start the course is. 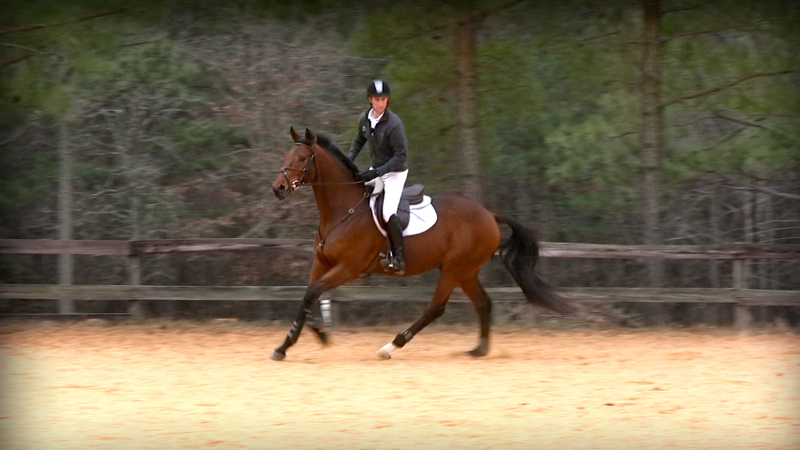 Meaningful transitions up and down within the canter gait especially on jumpers is so productive. The jumper ring allows us to make more impressive and expressive transitions than we can do in the equitation and hunter ring, where they have to be a bit on the more invisible side. I think your stopping issue was due to a lack of any upward and downward transitions. The horse has to be in front of your leg, ready to go forward at the slightest leg pressure, as well as responsive to come back from your hand. This should be done on a daily basis, in the warm up ring, and on your opening circle in the show ring as a reminder. 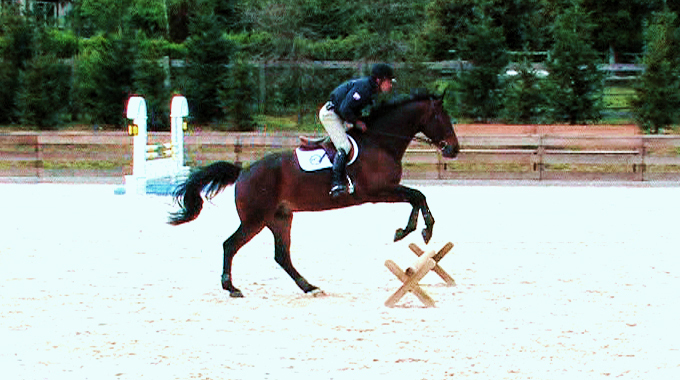 I believe that each horse has “the perfect canter” that enables him to jump his best. You must recognize and become familiar with that “speed” where the spring is coiled just right. All horses are somewhat different. Your job is to find the pace he can stand-off well at and shorten his stride when deep the easiest. That will depend on how athletic he is at shortening his stride quickly. It is horse specific. 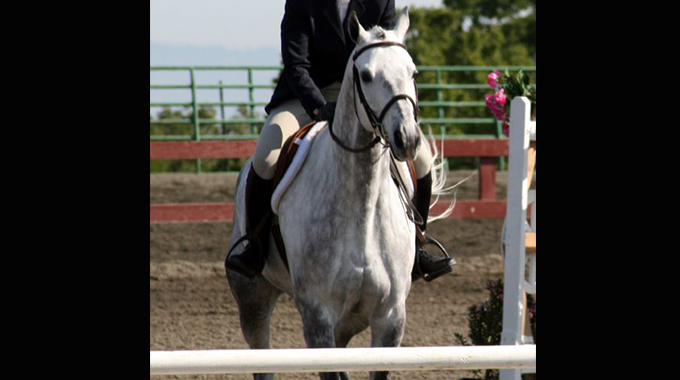 Once you find that “best canter” for your horse, log it in your mind and practice it. I hope you find this helpful and wish you the best of luck. I think in a short time, with some drills, you will have great success. 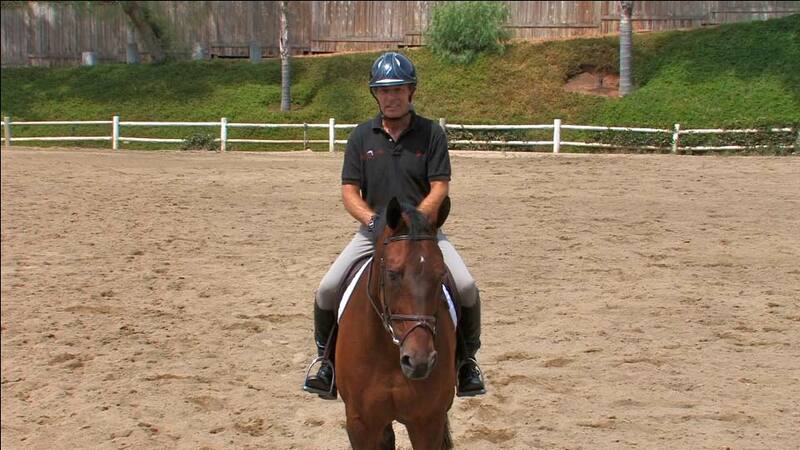 In this topic Denny shows us the importance of establishing the “Right” canter. He demonstrates how getting to the right take off point with the proper speed, balance and impulsion, while staying out of the horse’s way, allows the horse to jump his best. 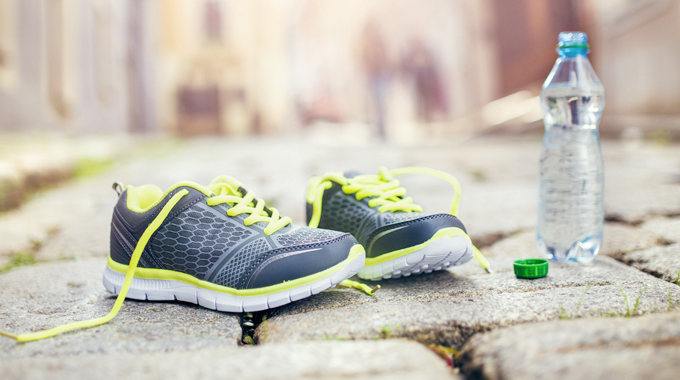 Resident fitness and nutrition expert Robin Martinez gives advice an exercise routine when you're on the road, at a horse show or don't have access to a gym.